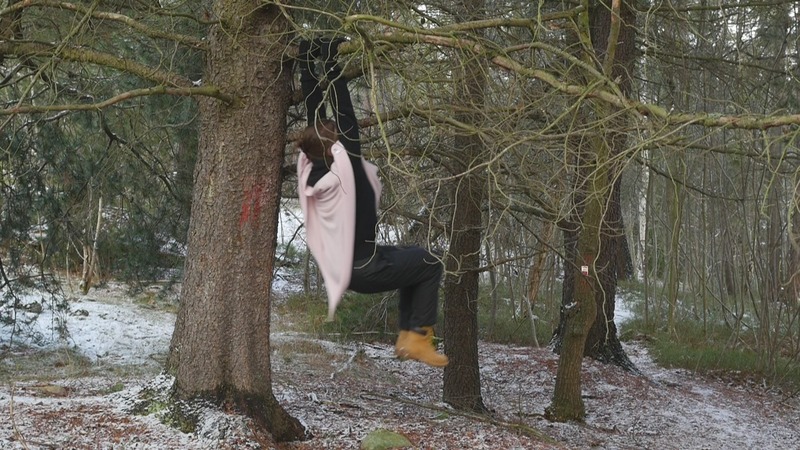 “Hanging in a Pine tree or appearing with plants”, performance lecture / video essay at Performance Philosophy Research Festival and Conference, Intervention! Intoxication?, Amsterdam 14-17 March 2019. “At Dusk” in “This was the silence I wanted to break in You”, an event organized by students at Stockholm University 18 January 2019. 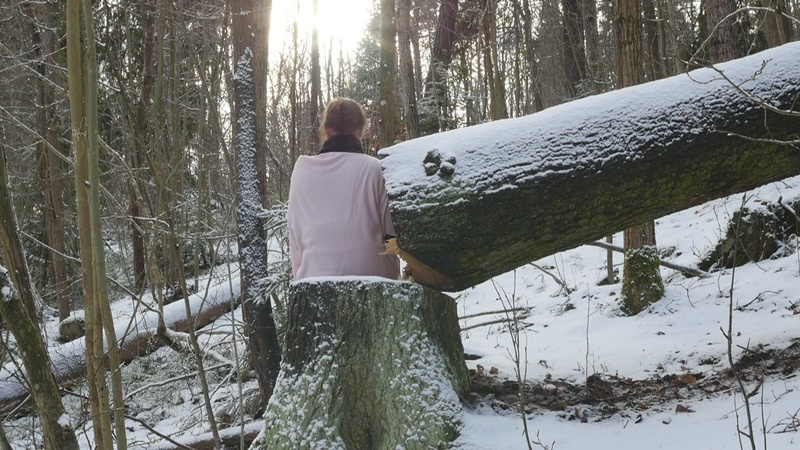 “Visiting a Tree”, presentation and installation at Floating Peripheries conference, University of Lapland, Rovaniemi 14-16 January 2019. Year of the Snake – Swinging (mini) at the video- and performance art festival MEETINGS o ET4U, Contemporary visual art projects – Mid & Western Jutland at Skaerum, Mölle, 1.9.2017. The Tide in Kan Tiang (2016) Fringe Arts Bath Festival 26 May 2017. Animal years I (2003-2009) and Animal Years II (2010-2014) as part of Accessing Performance at the Research Pavilion in Venice 17. and 18. May 2017. Sal 1, in Video Forever 28 Ocean at musée de la Chasse et de la Nature in Paris 4.5.2016. Year of the Tiger (mini) in Performance Voyage 5. International tour started 8.3.2015 Opening in Helsinki 10.9.2015. Year of the Snake – Swinging (mini) at Cyprus International Performance Art Festival screenings, Nicosia 27.6 2014. Year of the Snake – Swinging (mini). In Rapid Pulse International Performance Art Festival, Chicago, video series 8.6.2014. Becoming Juniper in Rain. 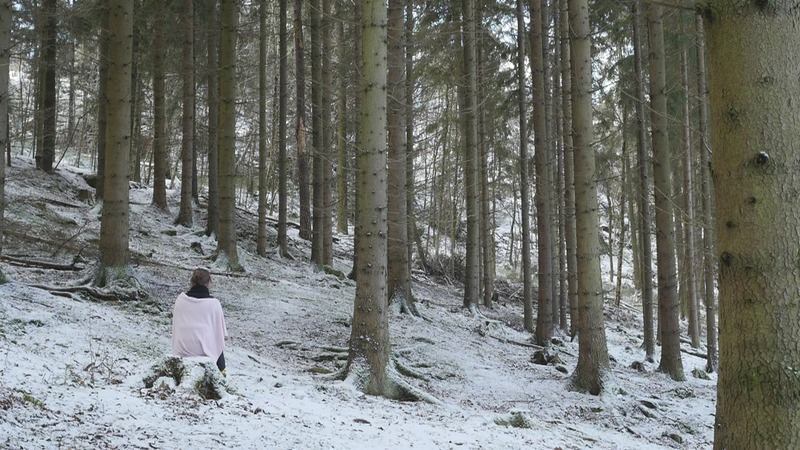 Performative Consequences and Affects: New Finnish Performance Art on Video. Museum of Modern Art Sao Paulo 13.8.2013. Day and Night of the Dog. Performance Voyage 3 – A Series of International Video Performances (DVD and international tour) Muu Studio 8.2.-3.3.2013. Year of the Ox – In a Yoke 1-2. Experimenta 1 at 21st Rio de Janeiro International Short Film Festival, Curta Cinema 27.10. – 6.11.2011. Year of the Rat – Dripping (short). Performance Voyage (1), a series of video performances (international tour) Titanik gallery, Turku 23.-29.5.2011. Year of the Rat – Dripping (short). d2d direct to documentation, 7a*11d international performance art festival, Toronto 27.10.2010. Year of the Rat – Dripping (short). Cartes Flux festival, Cable Factory, Helsinki 23-24.10.2010. Year of the Dog in Kalvola – Calendar. Ihme days of contemporary art, Helsinki 3.- 5.4.2009. Weather vane variation. View 09 festival, Helsinki 28.2.-1.03.2009. Shawlplay for Dara Birnbaum. Zero Desibel –event at the Centre for Practice-based Research in Theatre, Tampere 21.-22.2. 2009. Day and Night of the Dog. View 07 festival, Helsinki 24-25.5.2008. Wind Nest – Witches’ Broom. What is Live Art in Finnish (DVD and exhibition) Muu gallery 6.11.- 25.11.2007. Rock with text and Year of the Monkey 1. View 07 festival, Helsinki 16-18.2.2007.